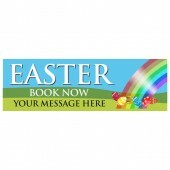 Easter is one of the biggest seasonal celebrations of the year and a great time to get involved and generate extra revenue. 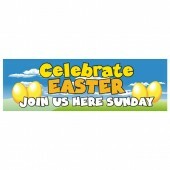 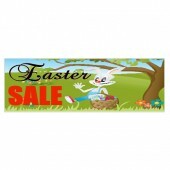 Discount Banners has an excellent range of pre-designed Easter Banners to meet your requirements. 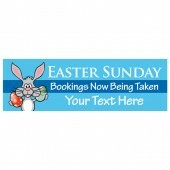 Whether you’re a shop, restaurant, pub or throwing an Easter event, we have an Easter Banner for you. 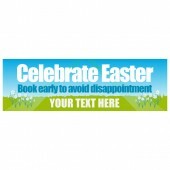 Our Easter Banners are printed on high quality PVC using eco-friendly, UV stable ink which means you have a stunning, full colour product suitable for indoor or outdoor use. 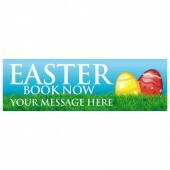 Easter Banners are available in 8’x2’ or 10’x3’ and should be received 2-5 days after your order has been placed.